Ophthotech has expanded its eye disease treatment pipeline today by acquiring a small-molecule, age-related retinal disease therapy developer, as well as launching its third gene therapy collaboration, which will focus on treating the rare retinal disorder Best vitelliform macular dystrophy (Best disease). Ophthotech said it has acquired Inception 4, a privately-held “build-to-buy” company backed by Versant Ventures, and launched in 2013 by Versant with Bayer. Build-to-buy companies are startups financed by venture firms partnering with biopharmas that hold options to buy the company and/or agree to make payments tied to achieving milestones. The deal gives Ophthotech worldwide development and commercialization rights to Inception 4’s small molecule inhibitors of high temperature requirement A serine peptidase 1 protein (HtrA1). HtrA1 is correlated with increased risk of retinal diseases that include geographic atrophy, an advanced form of dry age-related macular degeneration (AMD). 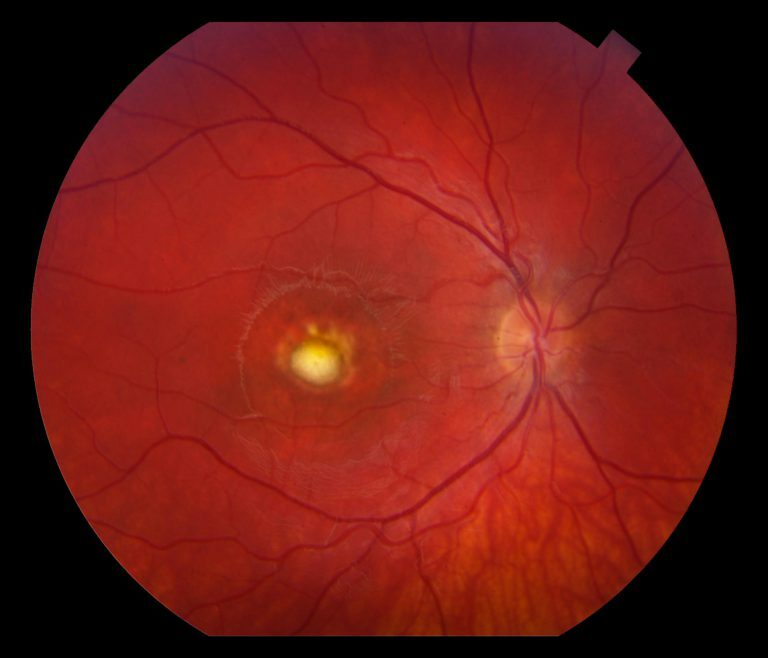 Based on current timelines and subject to successful completion of preclinical development, Ophthotech said, it plans to submit an IND application to the FDA for the treatment of geographic atrophy secondary to dry AMD by late 2020, according to a regulatory filing. Ophthotech said it obtained $6.1 million cash through the Inception 4 acquisition. Ophthotech agreed to issue approximately 5.2 million shares to Inception 4’s shareholders, through which Versant now owns approximately 12.5% of Ophthotech’s outstanding shares of common stock. Versant agreed to help Ophthotech identify “exceptional” opportunities to expand the pipeline, the buyer said. “Ophthotech believes the approximately $6.1 million in cash it received in connection with its acquisition of Inception 4 will be sufficient to fund the substantial majority of anticipated development costs associated with [the HtrA1 inhibitor] program through the IND submission stage,” the company stated in the regulatory filing. Inception 4 shareholders will also be eligible for post-closing payments tied to achieving clinical and marketing approval milestones in certain AMD indications. The acquisition of Inception 4 is one of three reasons cited by Ophthotech in raising its investor guidance for estimated cash and cash equivalents by year’s end, to between $125 million and $130 million, up from between $112 million and $117 million. The other two reasons were continuation of the company’s development programs for its complement factor C5 inhibitor candidate Zimura® (avacincaptad pegol), and expansion of the Company’s gene therapy R&D programs. Ophthotech is also expanding its pipeline of gene therapy programs for eye diseases through its second series of agreements with the University of Pennsylvania (Penn) and the University of Florida. The value of those agreements was not disclosed. The company said Penn and the University of Florida Research Foundation (UFRF) agreed to grant Ophthotech an exclusive option to acquire an exclusive, global license to develop and commercialize novel adeno-associated virus (AAV) gene therapy candidates for Best disease, an orphan inherited degenerative retinal disease caused by mutations in the BEST1 gene. Ophthotech cited preclinical proof-of-concept studies by Penn and the University of Florida that have shown promising results in a canine Best disease model. “Our AAV based gene therapy achieved a clear and durable reversal of the retinal pathology, including vitelliform lesions and microdetachments, in our canine model,” stated Karina E. Guziewicz, Ph.D., Research Assistant Professor of Ophthalmology at Penn School of Veterinary Medicine. Dr. Guziewicz, and colleagues, detailed the findings from their studies in “BEST1 gene therapy corrects a diffuse retina-wide microdetachment modulated by light exposure,” published online March 5 in Proceedings of the National Academy of Sciences of the United States of America (PNAS). In addition, Ophthotech said it will sponsor research at Penn, facilitated by the Penn Center for Innovation (PCI), and the University of Florida to conduct preclinical and natural history studies of Best disease. Ophthotech said it expects to submit an IND application to the FDA by 2021. Ophthotech launched its first collaboration with Penn and UFRF in June, obtaining rights to develop and commercialize a novel AAV gene therapy product candidate for the treatment of rhodopsin-mediated autosomal dominant retinitis pigmentosa (RHO-adRP). The company said it expects to initiate a RHO-adRP Phase 1/2 clinical trial in 2020. “We are excited to strengthen our relationship with the team of distinguished scientists at the University of Pennsylvania and the University of Florida, to expand our gene therapy pipeline by adding rights to obtain the BEST1 gene therapy product candidates and to build upon our strategy to develop novel treatment options for patients with devastating retinal diseases,” added Ophthotech CMO Kourous A. Rezaei, M.D. Ophthotech expanded into gene therapy in February, when it agreed to partner with the University of Massachusetts Medical School to investigate novel gene therapies for retinal diseases utilizing a “minigene” therapy approach as well as novel gene delivery methods.